I see across all of my social media platforms, memes about getting rid of toxic people from your life. In theory, I believe that ridding your life of people who cause you stress and hurt absolutely improves your personal happiness. But I also believe that these statements can make some people feel like complete crap because they are unable to cut ties as easily as those that can click “share”. b) that you learn something from me today. Please don’t just click exit because you think this advice doesn’t pertain to you. You may have a friend that might need your help. I am hoping that you will see that just “get rid of toxic people” is not so simple and will make your friend feel isolated, defeated and stupid for not being able to do what you believe is so effortless to do. 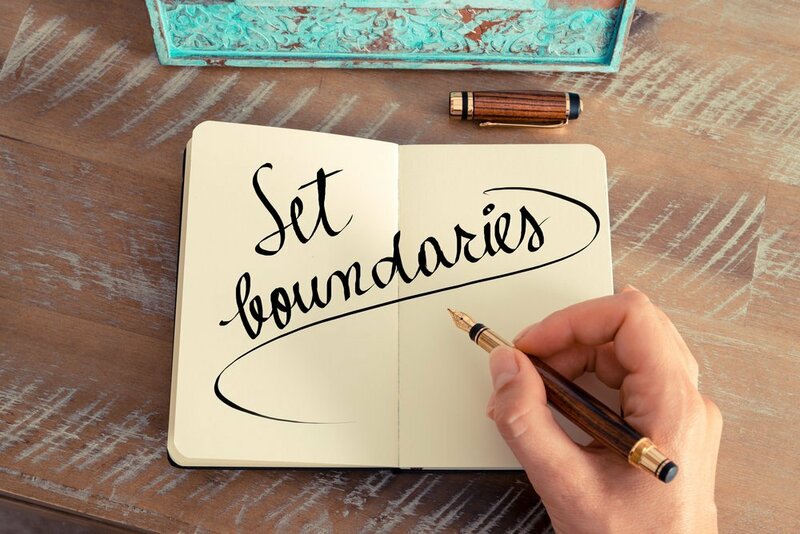 A better plan would be for you to help them cope with their toxic relationship by assisting them to construct healthy boundaries until they can leave and/or create a safe, open environment for them to share their feelings with you if leaving is not an option. There are many people living in less than favourable situations. For their own reasons, they are either unable to just leave these toxic people out of their lives or are just not ready to do so. It may be easy to dump a friend or co-worker but it gets really complicated when that person is a close relative like a parent, spouse or child, especially when illness is involved. It is difficult to drop someone out of your life when your life is so closely intertwined with theirs, as in the case of caregivers or family members. The relationship can quickly spiral into one of co-dependency, where both partners, even the “healthy” one, has an excessive emotional or psychological reliance on the other. The co-dependent person typically sacrifices his or her needs to take care of a person who is sick. When co-dependents place other people’s health, welfare and safety before their own, they can lose contact with their own needs, desires, and sense of self. My husband has bipolar. Most of the time we have a great marriage. But there are times that our relationship can be very unhealthy for me, like when he is ill. I have to be very cognizant of my own needs and mental health, especially when he is in the throes of mania or depression. It is extremely important not to become lost in the disease. And believe me, it is so easy to do. Making sure I stay healthy ensures that I am making good decisions for me and my husband when he is ill as well as securing the baseline for our relationship for when things settle down and he is healthy again. I am not a therapist or a licensed professional. I am sharing with you some of the strategies I use in my own relationship. My tips are specific to living with a bipolar spouse but they also apply to any relationship that may be toxic or co-dependent. I hope my five point plan helps you but please understand that they in no way replace you getting real, professional help. I encourage you to go and get guidance for yourself if you are over-whelmed or just need someone to help you cope and develop strategies specific to your own circumstances. I urge you to contact authorities if you are ever in physical danger. My plan is not about drawing lines in the sand. My plan is not about ultimatums. 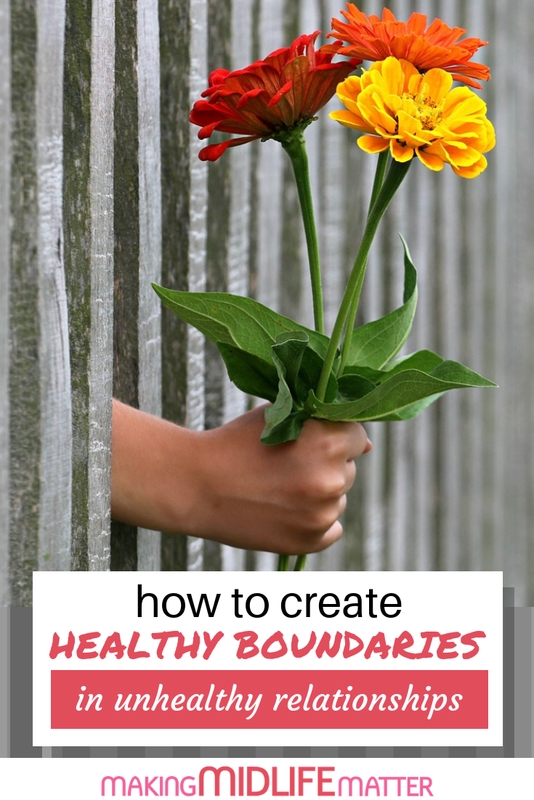 My plan is about creating healthy boundaries for yourself. You can only control how you respond, act and think when your partner/family member is treating you poorly. You can not control them! What you can do is create a treatment plan for yourself and implement it as needed. 1. Do Not Isolate Yourself. As much as your partner needs support, so do you. Create a group of friends, family or professionals that you can turn to, to discuss how you are feeling. You need to have healthy conversations with other people to maintain your own sanity or maybe you just need to vent. I know it is hard sometimes because you don’t want anyone to know what is going on in your home. But trust me, if they are a close family member or friend, you aren’t hiding anything. Bipolar symptoms are pretty obvious to everyone. 2. Keep Your Own Interests. It is so easy to allow mental disorders to become all-consuming for the caregivers. Don’t forget who you are and what you enjoy to do. Make adjustments if required. If that’s going to the gym, go for half the time. If you usually go out for meals with friends, go for a coffee. Don’t cut the things you normally love to do completely out. If you do, you will have to deal with your own feelings of resentment on top of everything else. 3. Do Not Engage In Unhealthy Behaviour. Especially in times of mania, it becomes very difficult to not lash out when your partner is being critical, calling you names or just not making sense. Fighting fire with fire will not work. Do not respond to verbal abuse with the like. Say something like “I know you are upset but I can not have a conversation with you if you are calling me names/yelling at me.” And walk away. Remember that they are incapable of rational thought and arguing with them would be the equivalent of talking to a tree. Sometimes, regardless of how supportive you are, you can be a trigger for some of your partners’ behaviour. Don’t take this personally. When you are with each other a lot, response patterns develop. You have the same argument over and over. Figure out a way to take a break from each other, for a few hours, overnight or longer. Whatever you can figure out but keep in mind your partners’ safety. On two occasions I did just that. Once, I put my husband in a hotel around the corner for three nights and another time I sent him to his uncles for a few weeks. I was able to get some sleep, take care of myself and not think about his needs for a bit. When he returned, I was a more compassionate, understanding person again. 5. Know When You’re In Over Your Head. If at any time you believe that you, your family or your partner are in any danger, it’s time to call in the professionals. If you are in physical danger, do not hesitate to call the police. I have and now my partner knows that. I have never had the need to do it again. It was not a pleasant experience for him but he knows now that if he becomes a threat, police will be called. Likewise, if symptoms are way past your comfort level and you see them escalating, it’s time to call the doctor and/or go to the ER. The sooner you do it, the sooner your partner will be on the path to recovery. Keep in mind that you may become overwhelmed by your own flood of emotions in times of crisis. You can easily become disabled yourself from the drain physically and mentally. It is important that you take the time to take care of yourself. If you do, you will be able to support your partner more effectively and be able to make rational, intelligent, informed decisions for everyone involved.